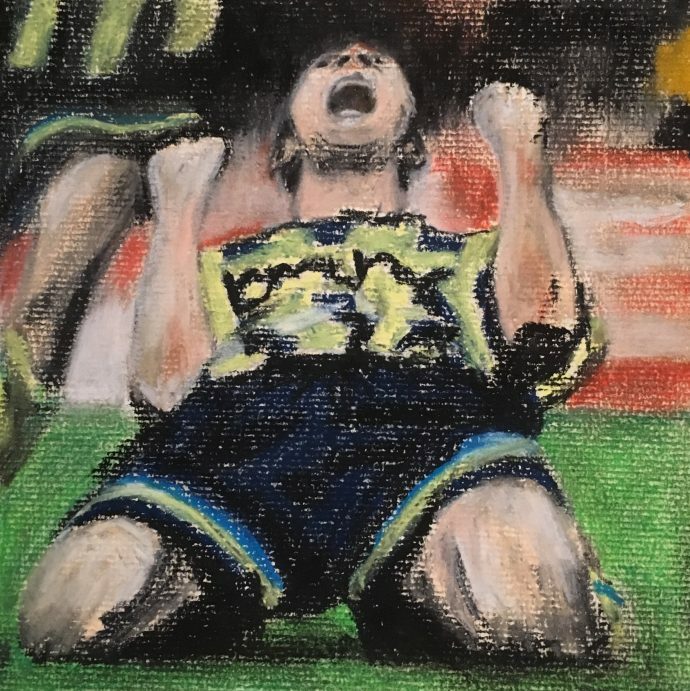 My pastel on paper portrait of Paul Dickov’s legendary celebration after scoring the last moment goal to equalise for Manchester City in the 1999 Playoff final against Gillingham and taking the game to penalties. Coming back from 2-0 down, MCFC went on to win the penalty shoot-out after great goalkeeping from Nicky Weaver who himself gave an amazing end of game celebration! I always admired Dickov’s passion, drive and commitment.